by Mike Sharples, et al. The aim of this book is to introduce people with little or no computing background to artificial intelligence (AI) and cognitive science. 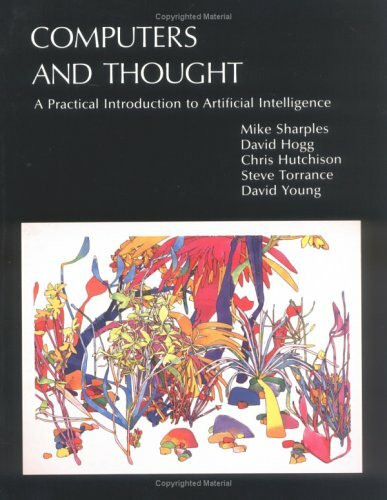 It emphasizes the psychological, social, and philosophical implications of AI and, by means of an extended project to design an Automated Tourist Guide, makes the connection between the details of an AI programming language and the 'magic' of artificial intelligence programs, which converse in English, solve problems, and offer reasoned advice. Bayesian networks are a general tool that can be used for a large number of problems involving uncertainty: reasoning, learning, planning and perception. This is a collection of contributions to the methodology and applications of Bayesian networks. This book of Proceedings contains the accepted papers of the first International Workshop on Artificial Intelligence and Cognition (AIC13). The scientific motivation resides on the growing impact between Cognitive Science and Artificial Intelligence. A current sampling of AI approaches to problems of biological significance. The text covers genetic sequence analysis, protein structure representation and prediction, automated data analysis aids, and simulation of biological systems. An overview of state of the art research in Affective Computing. It presents new ideas, original results and practical experiences in this increasingly important research field. The book consists of 23 chapters categorized into four sections.